The unique method of processing and curing of cinnamon entices the characteristic Flavour over cassia. The preparation of Cinnamon quills involves a combination of art and skill unique to Sri Lanka and has been handed down from generation to generation over centuries. Value added Cinnamon products such as Cinnamon oil, Cinnamon powder and Tablets are also produced and exported to large number of countries. The Ceylon Cinnamon belongs to the family Lauraceae and it contains about 250 species and sub species. ‘Ceylon Cinnamon’ (Cinamomum Zeylanicum Blume) and Cassia are the more important ones that are traded in the international market. Cassia is originated from different countries such as China, Vietnam region, Java region, Indonesia and India. ‘Ceylon Cinnamon’ referred to as “sweet cinnamon” and “true cinnamon” is considered superior to the variety known as Cassia. 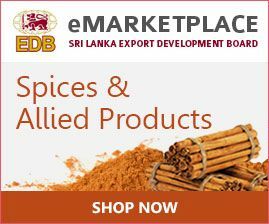 As a Spices: Cinnamon is the most important and valuable spice produced in Sri Lanka. Value added Cinnamon produced such as Cinnamon oil, Cinnamon powder & tablets are also produced in Sri Lanka for export to large number of countries. Cinnamon is used in bakery products, Asian foods, flavoured tea for its distinctive aroma and flavour and also in the preservation of certain foods. Health Aspect of the Cinnamon: Therapeutic effect of cinnamon against diabetic and hypertension is now well established. Polyphonic called cennamatannin, a proanthocyanaidins found in cinnamon is responsible to the above effects. At present Cinnamon is widely used as a food ingredient, in the pharmaceutical preparations & in the cosmetics industry world wide. Being high in antioxidants it is good for overall health. Volatile oil of Cinnamon is widely used in perfumes, cosmetics and scented exotic gifts. USA & Mexico are the main markets for Ceylon Cinnamon. Colombia, Equador, Peru, Spain, Gautemala, Chile and Bolivia are the other countries which consume a considerable amount of Ceylon Cinnamon. Sri Lanka has an immense potential to penetrate into niche market segments in the International market. 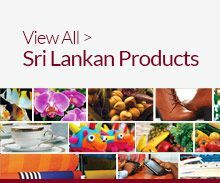 Sri Lanka's exports represent 41.13% of world exports for this product, its ranking in world exports is 1(Trademap2013). Branding of Pure Ceylon Cinnamon and promoting it as a global brand in target markets is very important to highlight the main characteristics of the Ceylon Cinnamon and differentiate the Cinnamon from Cassia to gain the comparative advantage. Accordingly Ceylon Cinnamon has introduced to the international market as a branded product namely “Pure Ceylon Cinnamon” which reflects a combination of several intrinsic characteristics discussed earlier. EDB has completed the registration of 'Pure Ceylon Cinnamon' trademark in Europe and USA and obtained the certificates of registration from both countries. Problems are encountered due to quality failures of exported cinnamon in international market and there is a risk of losing international market for Sri Lankan Cinnamon.